For those who can’t get enough of breakfast in the morning, enjoy bacon, eggs, pancakes in a way you’ve never had before. (SPOT.ph) There is this one quip in John Green’s The Fault in Our Stars omitted from the film that made us think. As in really think. As in awake-in-bed-wondering-about-the-mystery-of-life think. "Why are breakfast foods breakfast foods?" asks Hazel Grace Lancaster. "I want to have scrambled eggs for dinner without this ridiculous construction that scrambled eggs-inclusive meal is breakfast even when it occurs at dinnertime." We have no idea what Hazel Grace will make of this list. Okay. Breakfast has taken a leap from being a mere time frame to an actual flavor. Not only can you have scrambled eggs any time you want, breakfast has morphed into cupcakes, drinks, cookies. The next time someone tells you that breakfast is the most important meal of the day, you can answer that you can have it more than once a day. We list the new innovations that transformed this early-morning eating ritual to something even more palatable. This creation saves you from making the tough decision of whether to get a Continental- or Filipino-style meal. 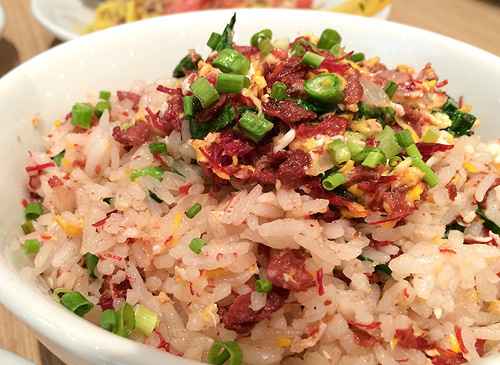 It’s a combination that indulges you with a mix of bacon, steak bits, and corned beef, all stir-fried with scrambled egg. This rice meal is available in servings suited for a quick solo brunch or to share with family and friends. Manam has branches at the Ayala Fairview Terraces, Fairview, Quezon City; SM Mall of Asia, Pasay City; Greenbelt 2, Makati City. There are plenty of perfect beer matches on this list, but El Chupacabra's Breakfast Tacos are a specially delicious case. A soft flour taco encasing creamy scrambled eggs, chorizo or bacon, topped with salsa and cheese make for the perfect complement to your favorite bottle of ale. Squeeze in a lemon wedge for that tangy kick and you'll be waking up to flavors of sunshine even as you enjoy drinks under the moonlight. 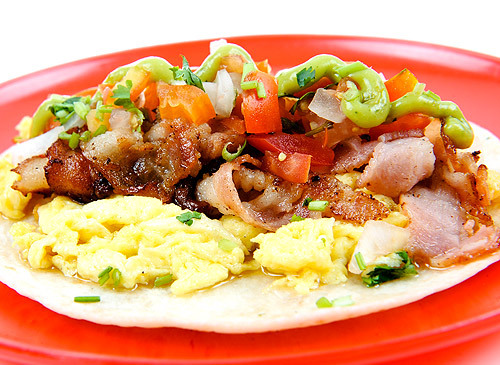 El Chupacabra is at 5752 Felipe corner Polaris Streets, Makati City (895-1919). 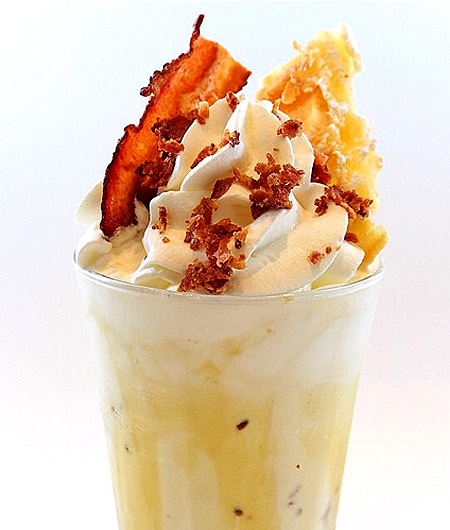 An honest-to-goodness milkshake that targets the core of any breakfast craving-that is what Cupcakes by Sonja's Bacon and Waffle Milkshake is all about. It’s a drink that combines two of the most indulgent breakfast delights known to man-bacon and waffles! How can you go wrong? The fusion of flavors is a welcome surprise, none too odd nor overpowering: decadent, salty, buttery, perfect. 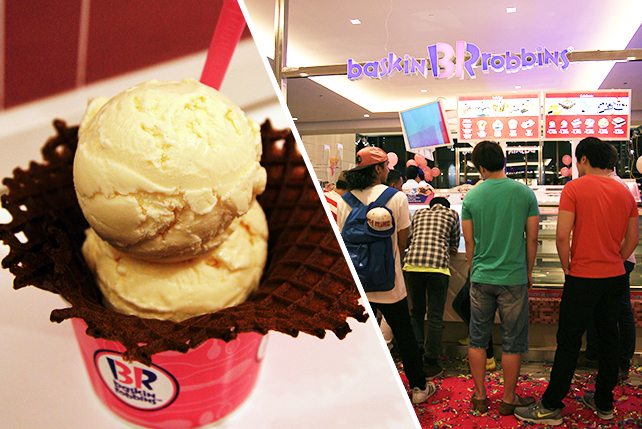 Beating Manila heat has never been this sinful! Click here for a list of Cupcakes by Sonja branches. We have this theory: if people enjoyed waking up more, they’d have better mornings, hence a happier and less frenetic time while stuck in the rush-hour traffic. Now, imagine if all mornings included a staple side of ice cream. The world is at peace already. This is a limited item, but it may be Mark Isidro’s biggest contribution to mankind-yet. 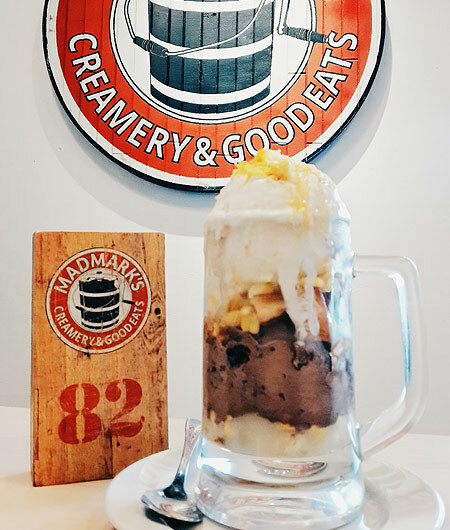 Their deeply flavorful vanilla ice cream is topped with corn kernels, cereal, and yes, cheese, then combined with a scoop of chocolate ice cream layered with French toast. As an added bonus, you can choose among Ghirardelli chocolate, caramel, or white chocolate for your sundae's finishing touch! 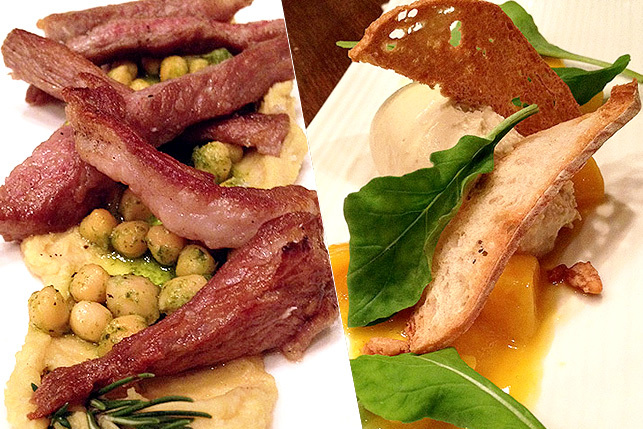 Mad Mark's has branches at 23 East Capitol Drive, Pasig City and Glorietta 5, Ayala Center, Makati City. Your favorite cereals in one crunchy and creamy scoop. 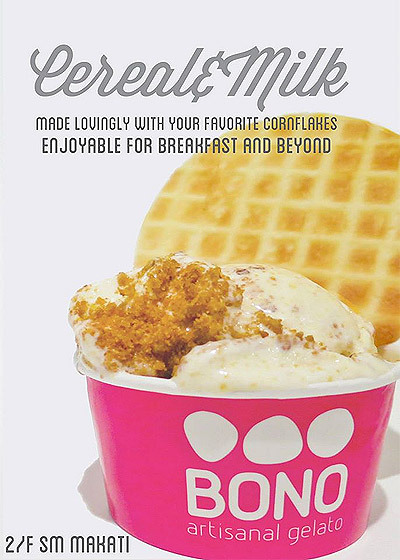 More lickable than slurpable, this breakfast-inspired cool treat from Bono Gelato is a luscious twist with crumbs of cornflakes speckling the milky base. You can have it any time of the day and during any weather. Bono Gelato has branches at SM Makati, SM Podium, SM Mega Fashion Hall, SM Mall of Asia, and SM Aura Premier. Cibbie Gonzales designed his P100 smoothies to serve as a quick and healthy alternative to meals, and nothing spells power breakfast quite like this one. Go! Salads gives us that morning or all-day boost (depending on your need to recharge) with their Breakfast Smoothie, a green blend of apples, cinnamon, and rolled oats for a refreshingly textured treat! 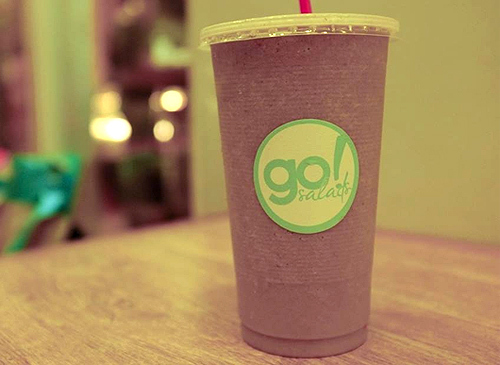 An extra antioxidant punch is also part of this on-the-go meal thanks to a dose of chia seeds mixed in. The intense shade of green might be a bit scary, but take a sip. It’s surprisingly sweet and refreshing. Go! Salads is at Eastwood Mall, Quezon City. The popularity of macarons in the Philippines has only spread wider, with the emergence of (more) afternoon-tea places and quaint little cafes. Mrs. Graham's Macaron Café, however, stands out from the rest with their unique flavors that are a must-try for every foodie. Ana Graham’s delicate pastries take inspiration from a variety of breakfast bites. Her flavors include French Toast with Peanut Buttercream, White Coffee, and Pancake with Maple Buttercream. Pair them up with signature coffees, pop on one of their decorative crowns, and treat yourself like a royal. 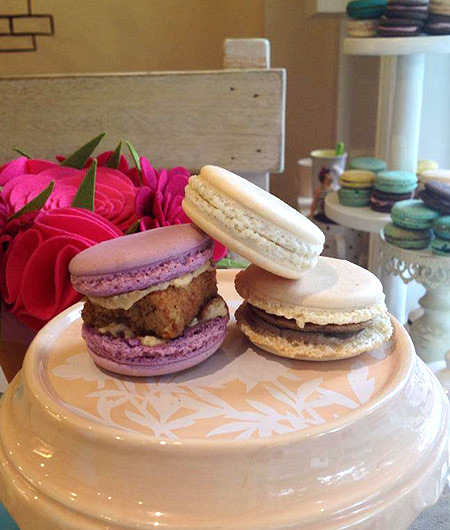 Mrs. Graham's Macaron Café is at 51C, Scout Rallos, Brgy. Laging Handa, Quezon City. 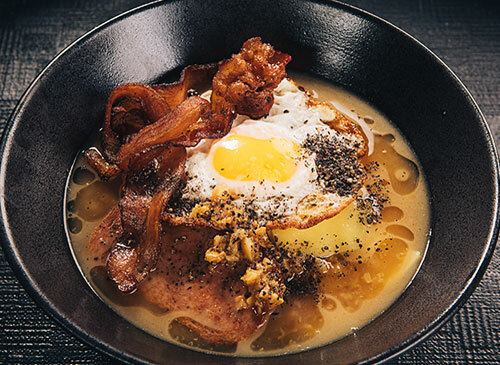 Bacon, eggs, cheese, and Black Pepper Spam swimming in a bowl full of noodles and a creamy, garlicky broth? It’s a challenge that’s definitely not for everyone, but it’s a slam-dunk to any breakfast lover's heart. Dubbed by Wrong Ramen itself as "Your Breakfast in Liquid Form," this Man vs. Food contender is not for the faint of heart. It’s a spunky bowl of ramen that’s atypical from what you’ll normally expect (What did you expect from a place called Wrong Ramen, really? ), but definitely delicious. Wrong Ramen is located at Burgos Circle, Bonifacio Global City (823-8249). 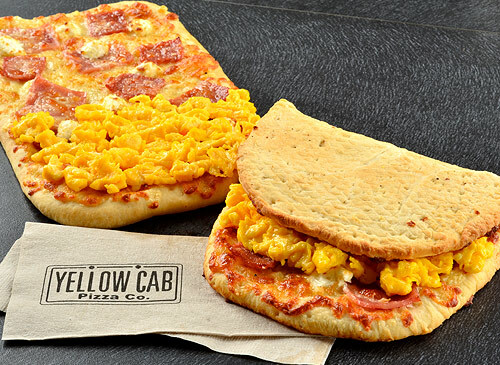 Your love for pizza and breakfast come together in this convenient folded creation from Yellow Cab. The My Size Breakfast Pizza is ideal for harried days at work. You can choose from all these flavors: the classic Ham, Salami and Egg, the meat-lovers' Hungarian Sausage and Egg, and the all-time favorite Bacon & Egg with a fruity mango twist. They’re pocket-sized so you might want to slip some in your purse for a quick bite in-between meetings. Click here for a list of Yellow Cab branches. Call 789-9999 for orders. You have your choice between steak or longganisa, but get the latter to enjoy the full effect of this rolled-up Mexican reincarnation of breakfast. 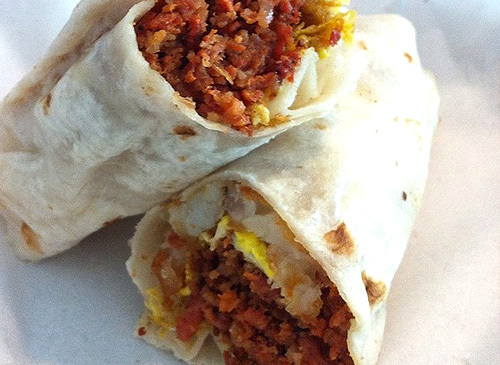 Toasted hash browns and scrambled eggs replace the beans and rice of Army Navy’s normally chunky and compact burritos. 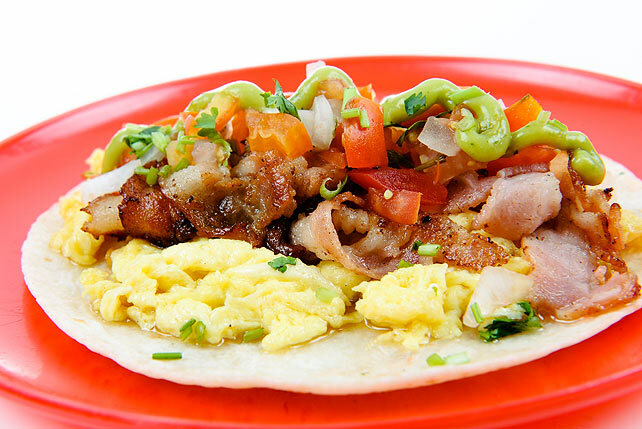 What you get is a synergy of breakfast flavors with one bite-make that 20, because that’s how many chomps it’ll take to take down this delicious wrap. Photos by Sasha Lim Uy (Manam), official Instagram pages (Sonja’s, BONO), foodspotting.com (Army Navy); courtesy of Cibbie Gonzales (Go! Salads), Aaron Ngui (Mad Mark's Creamery and Good Eats), Julian Morado (El Chupacabra), www.foodiesgalore.info, Oya Olalia (Wrong Ramen), Katrina Lopez (Yellow Cab).